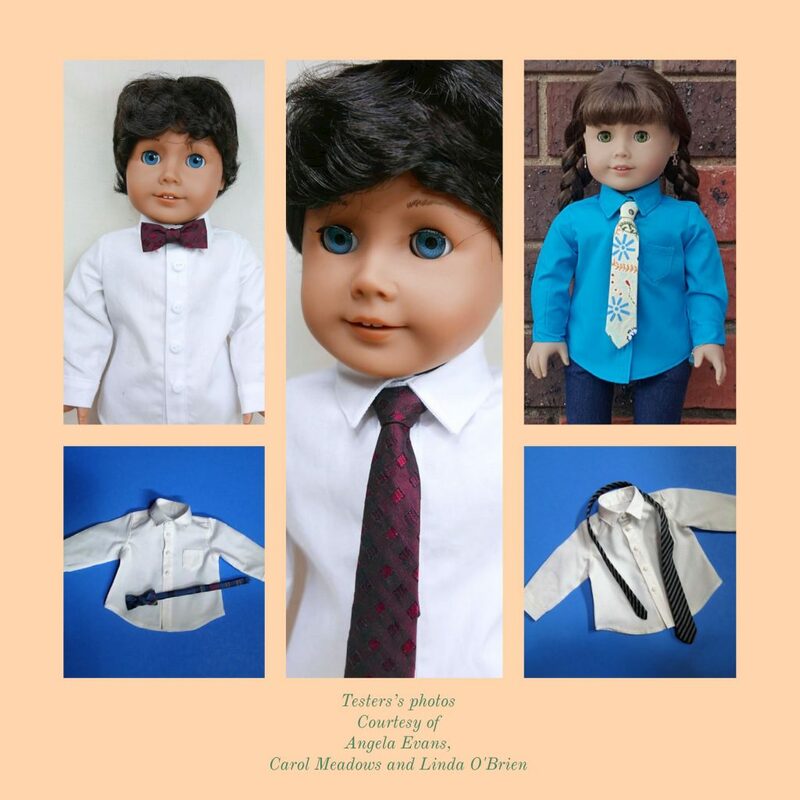 Every boy needs a basic wardrobe, so I have just published a new pattern for a tailored shirt and ties for standard 18-inch dolls such as American Girl. 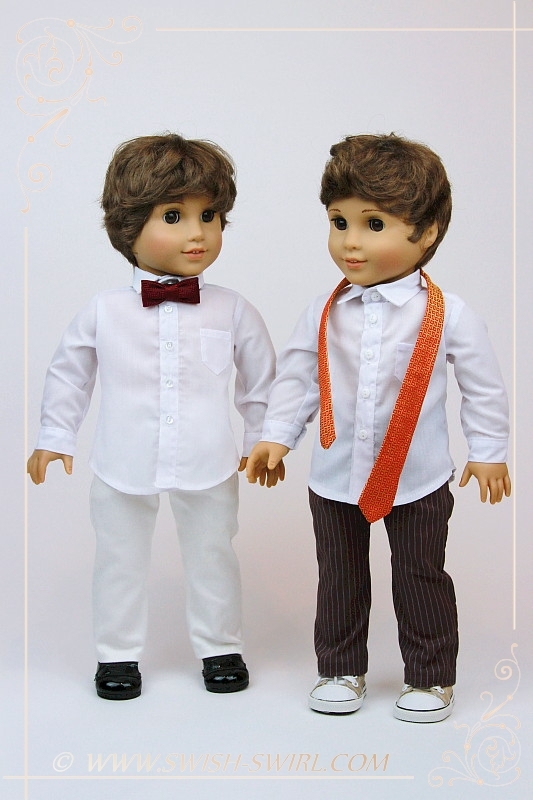 It is the first pattern in a boy series of patterns inspired by the costume worn by the Tenth Doctor played by David Tennant in Series 2-4 of Doctor Who. 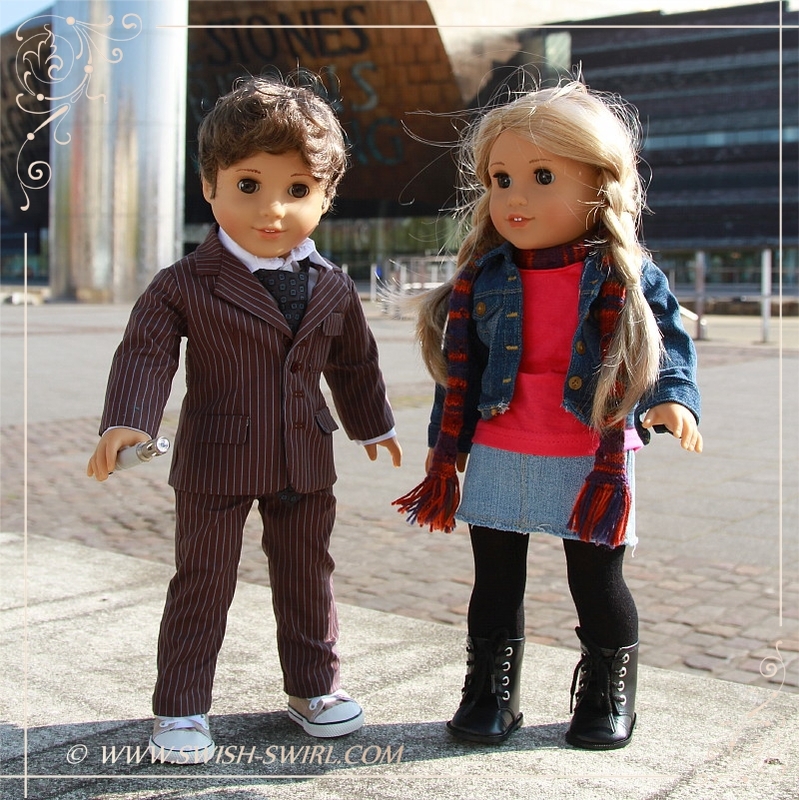 The bow tie version is inspired by the Eleventh Doctor played by Matt Smith (I might think of making his outfit in the future as well as the Ninth Doctor’s outfit). Do you know what a real tailored shirt looks like? 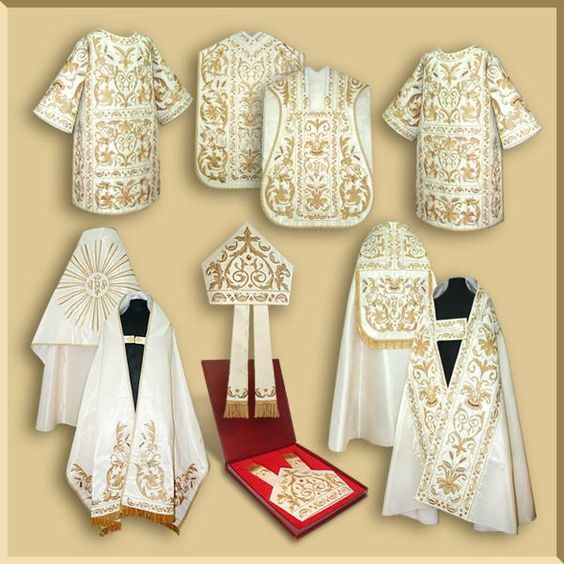 Well, here is a pattern for a miniature replica of it! 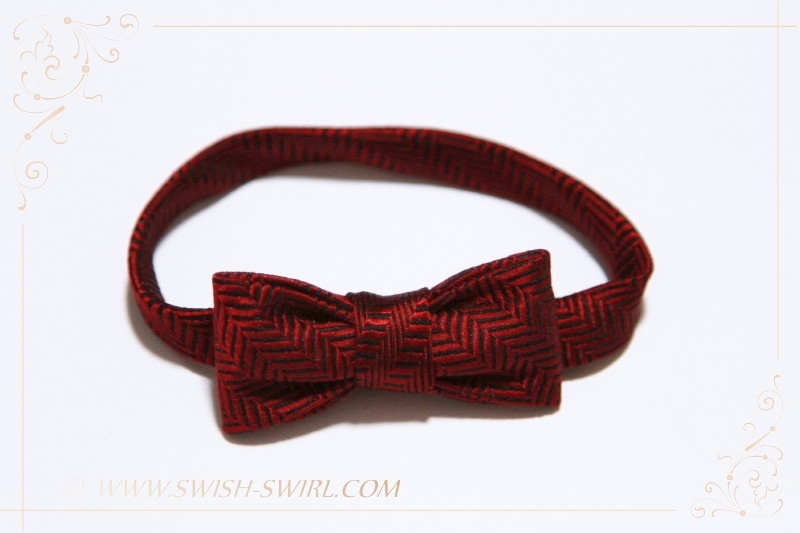 It has numerous realistic details and a perfect fit – features which make Swish & Swirl patterns special. 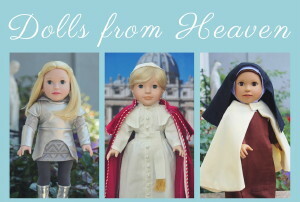 As we all know, American Girl and similar soft-bodied dolls have a chubby figure, so making outfits that fit them well and make them look slim is a big challenge. I believe, with this shirt I have managed to achieve the best possible fit for these dolls. 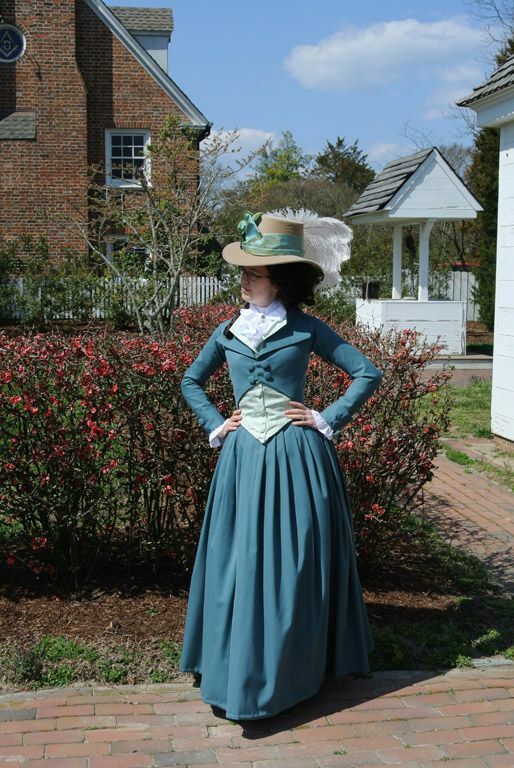 It is intended to be worn with a fitted suit so relaxed-fit was not an option. Therefore, this shirt has relatively narrow sleeves that are the perfect length to go with a fitted jacket. It’s just long enough to be comfortably tucked into fitted trousers. And it’s shaped so that it doesn’t create bulk under the jacket. Real shirts don’t have a centre shoulder seam. 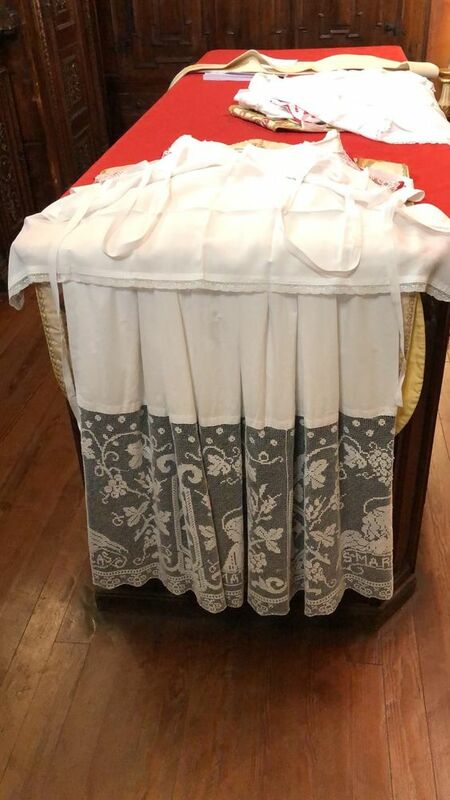 Instead, they have a yoke that covers the top of the back and extends to the front. 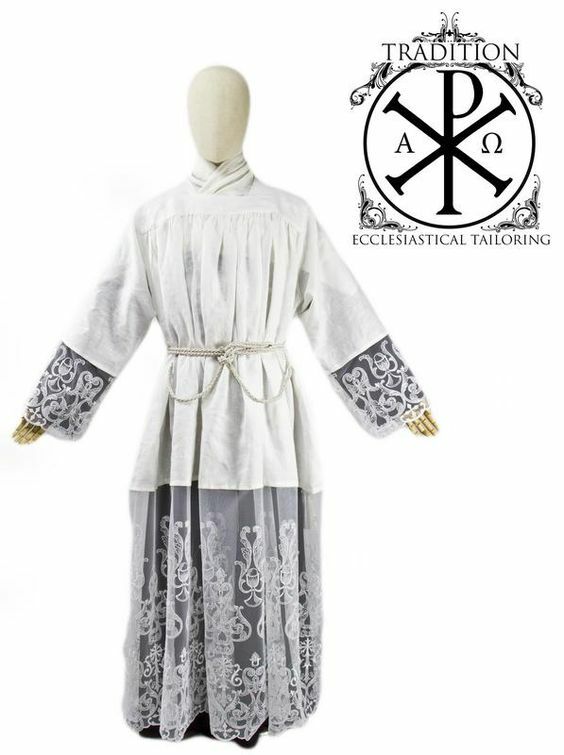 This shirt – as an exact replica of a real one – also has a yoke and comes with three options for the back: a fitted back with darts, a back with a central box pleat and a plain back. All three options fit beautifully under a fitted suit. The fully fitted option offers the ultimate fit. Closely fitted male shirts usually have darts at the back (but not at the front). 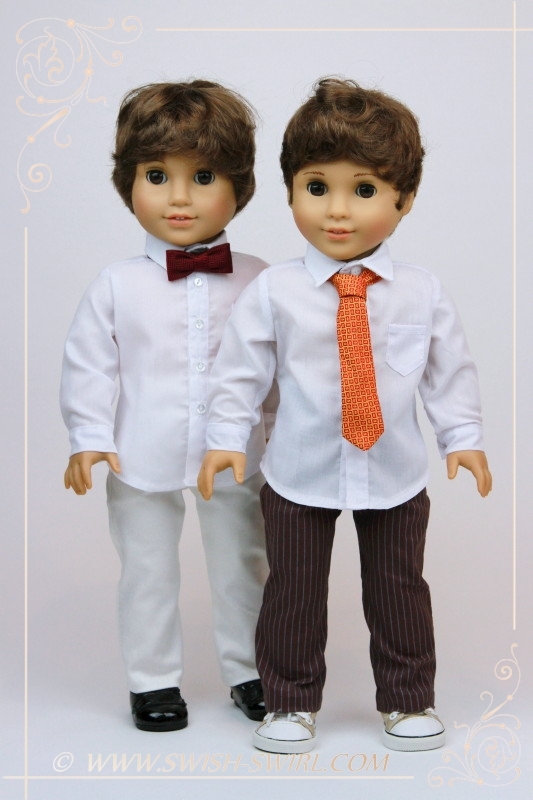 This style turned out to be perfect for American Girl dolls as well. These extended darts make the doll look slim and elegant. The box pleat option is classic for male shirts, so I had to include it as well. This pleat gives a bit more room without making the shirt look baggy or oversized. 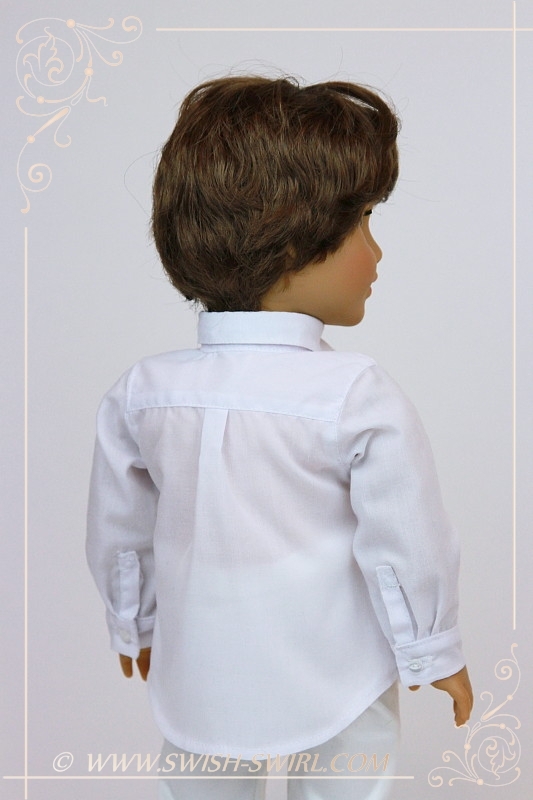 The plain back option is also common in male shirts and it is somewhere in-between the other two options – it creates a slim look without being too snug on the doll’s body. Every detail counts. That is the rule I always follow when making my doll clothes. Real human-sized shirts always have collars made out of two parts – the collar and the collar stand – and then top-stitched all around them. So, that is replicated on this doll shirt as well. I have also added top-stitching around the armscyes – it is a finish that is always used on real male shirts. 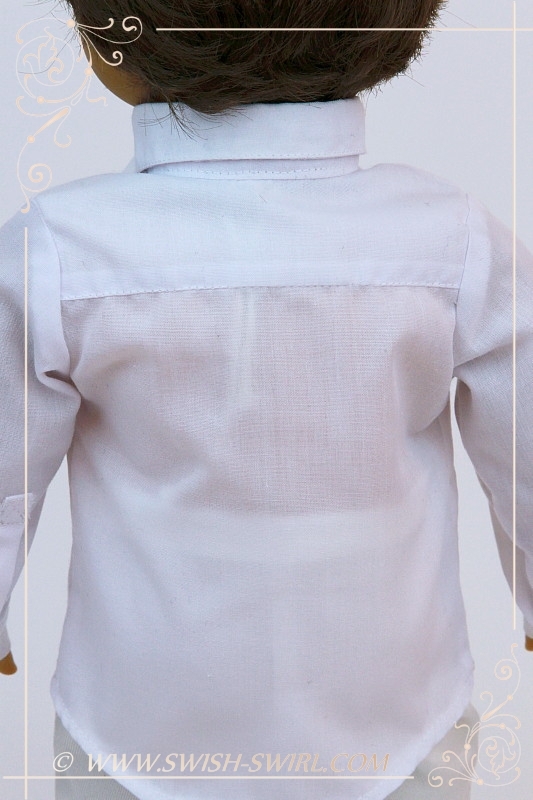 All buttons and buttonholes on the shirt are functional as real closures with buttons of the correctly chosen size making garments look more realistic. Even the button on the collar can be fastened. 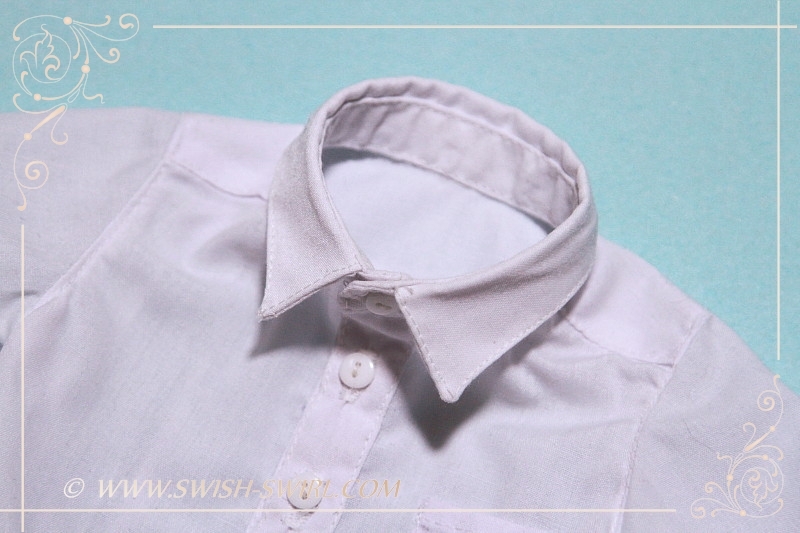 To achieve that, this shirt was created to make sure there is enough space to be able to make proper buttonholes on the collar, the front placket and the sleeve cuffs. 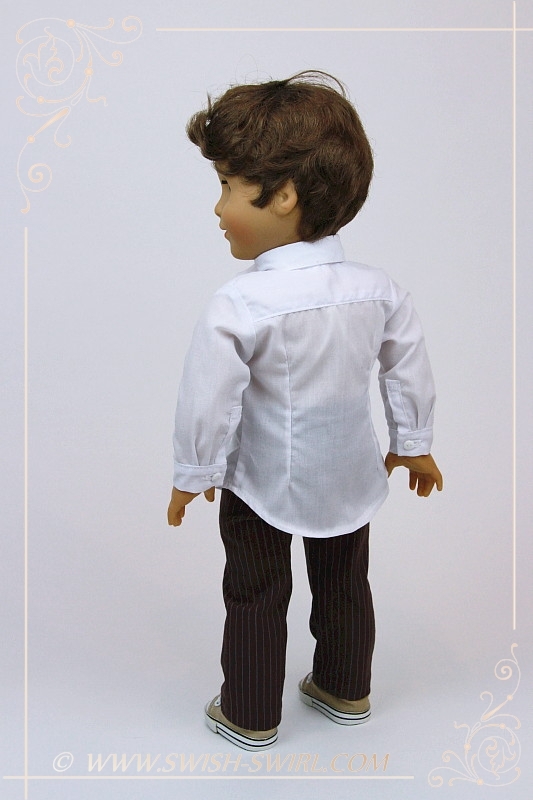 All human-sized tailored shirts (even boys’ shirts) have tailored plackets on their sleeves. They give a more professional finish and raise the shirt to a new level. 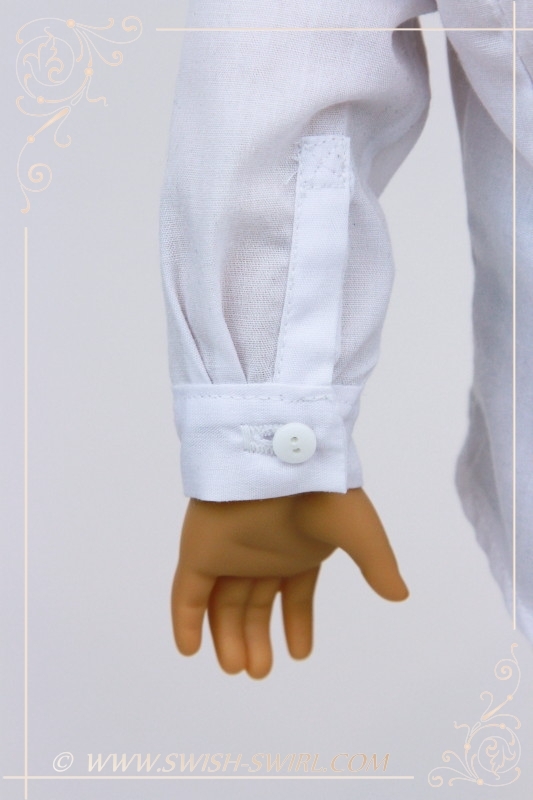 I didn’t want to compromise on this important and stylish detail, so I have created real tailored plackets, two pleats and functional buttons with buttonholes for my shirt’s sleeves. 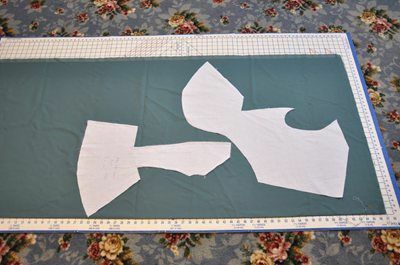 The placket may seem daunting but it is actually quite easy to sew and the instructions in the pattern are very detailed and easy to follow (as my testers would testify!). 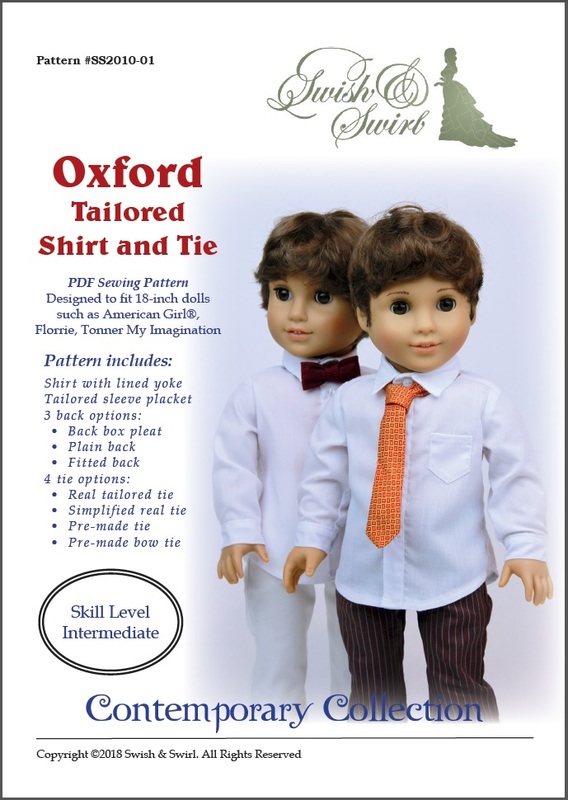 In addition to the shirt, the pattern also comes with 3 options for a tie and one option for a pre-made bow tie. If you happen to hold a real male tie in your hands, you will see that its construction is not as simple as it seems. 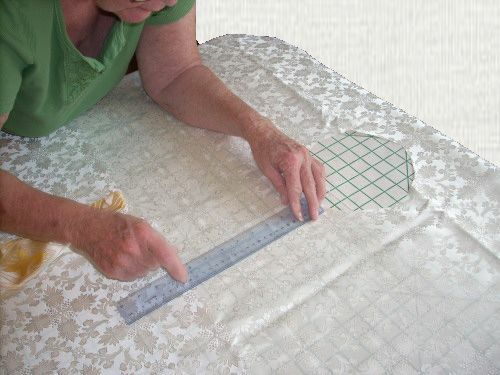 Both ends (tippings) are lined but the lining is smaller than the tie’s tipping and the main fabric is turned to the wrong side to form a perfect tipping end. It was not easy to figure out how it is done but I did it and I am really happy how this real tie has turned out. 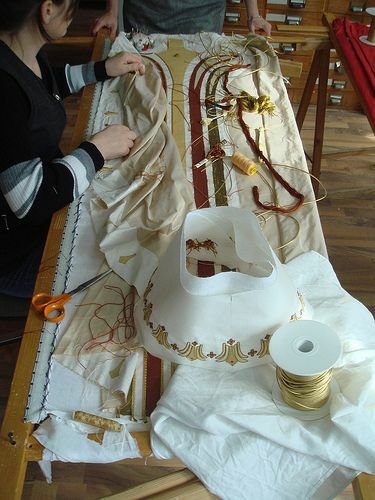 Unlike human-sized ties it is not sewn by hand, but otherwise it is exactly like a real tie, complete with lining. By the way, I’ve found that these ties are perfect when made out of real male ties because the fabric is usually just the right weight and the lining of those ties can also be re-used and is always a perfect match. 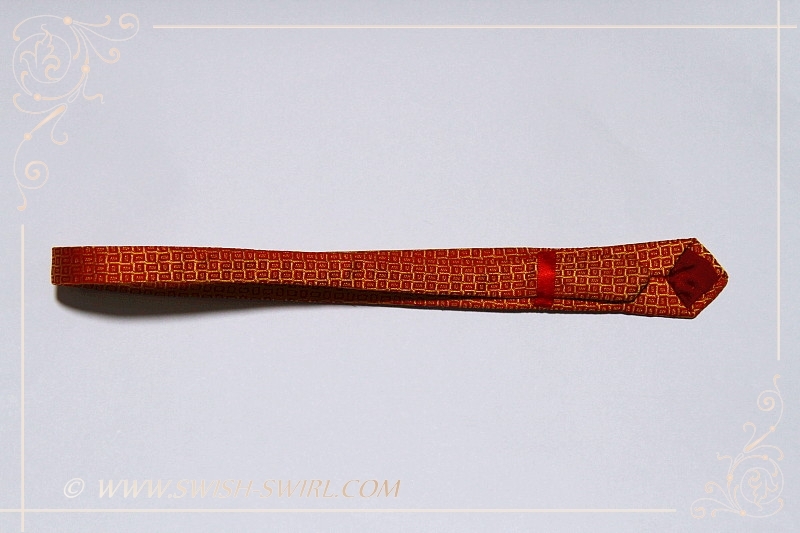 The tailored tie even has a tiny strip for holding the smaller end when the tie is worn! Two other tie options are for a simplified real tie and for a pre-made tie (in case someone might prefer one). 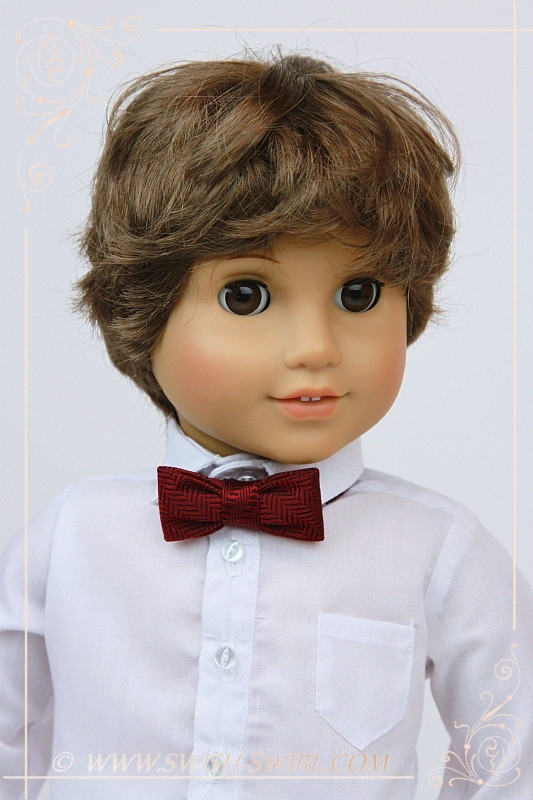 The bow tie is a pre-made one as it is easier to put it on a doll than trying to tie a real bow tie (I’d had a go at that and that is why I’d decided to go for a pre-made one). It’s a perfect size – not too large, not too small – and it fastens at the front behind the bow (like many real pre-made ties). Finally, this pattern has been successfully tested by 6 of my wonderful testers. Below are some of their photographs. 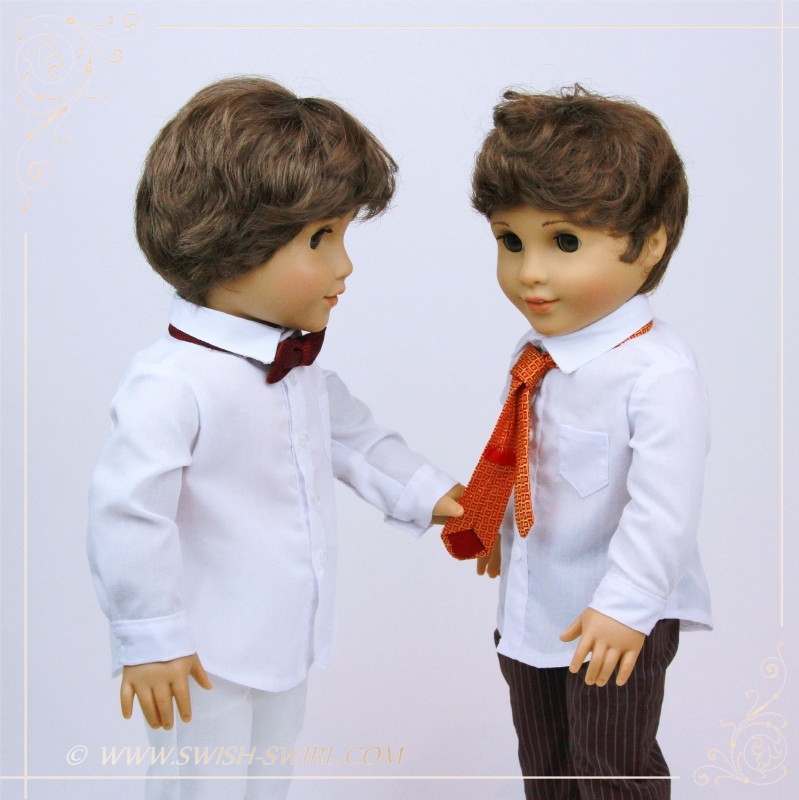 As you can see, the shirt can also be made for girl dolls with a couple of minor adjustments which are explained in the pattern instructions. 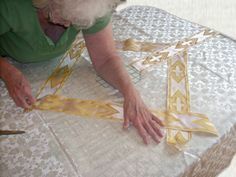 This is a sample of the pattern pieces and instructions. This pattern features 25 pages of detailed step-by-step instructions with photographs, including a photo tutorial on how to tie a real tie. 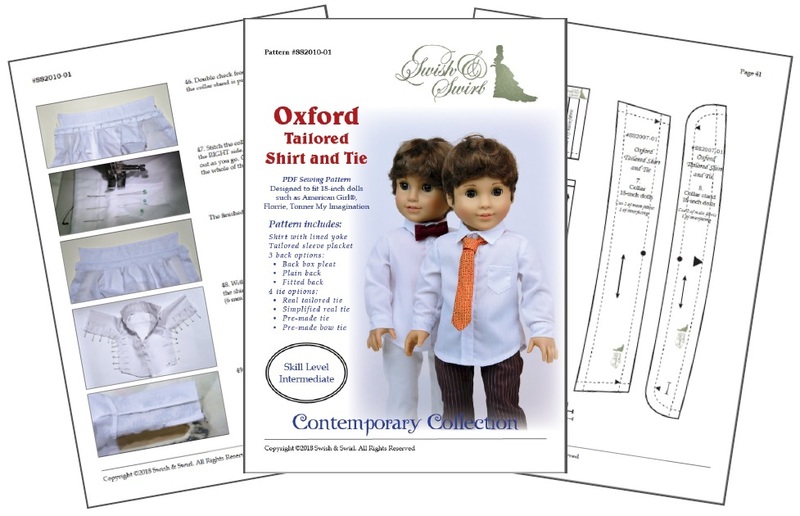 Click here to purchase #SS2010-01: Oxford Tailored Shirt and Tie for 18-inch dolls pattern in my Etsy shop. Wow! Just wow! Outstanding! I love the detail.